What would you do if trapped in the wilderness or after an urban disaster when water was scarce or contaminated? When hiking out in the woods, why is it important that people should leave no trace behind? These two questions are about to be answered by Knox County’s Youth Career Connect (YCC) students enrolled in Biomedical and Engineering courses. The students will spend the next weeks prototyping items that could be used when water is needed for survival or to use when in the woods to ensure wrappers, bottles, and other disposable materials don’t pollute or cause danger for animals. 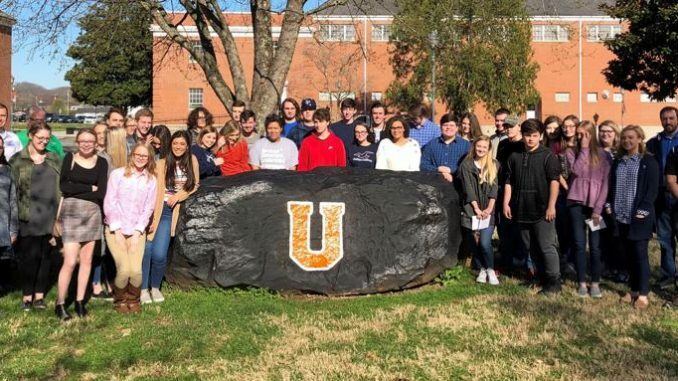 This is the second year for project-based internships for Knox County students through a partnership with Union College. Andy Messer, Director of Outdoor Programs and Professor of Recreation Management will be overseeing Lynn Camp students who are assigned to the Leave No Trace project. Sean Trinque, Cycling Coach and Adjunct Faculty at Union, will work with Knox Central students as they prototype for water survival. Also assisting from Union are Chris Gibson, Union College Admissions, and Dr. Marisa Greer, Dean of the School of Nursing, Health and Natural Sciences. In their final presentation, to be scheduled in April, both schools will present their prototype while also presenting research that they have gathered about the problem. What problems might be involved in finding reliably safe water in a backcountry setting? What contaminants are likely to be found in water sources? What information and equipment do hikers need in order to practice Leave No Trace? The Youth Career Connect program is through a grant obtained by Kentucky Education Development Corporation for Knox County that includes a total of ten schools in eastern and south central Kentucky. In its final funded year, YCC has had a total of 1,525 students benefit from numerous employer & college opportunities from the ten appointed high schools.. Each high school from the YCC grant has implemented at least two of the three pathways through Project Lead the Way. In Knox County, Pre-Engineering is offered at Knox Central with teacher Travis Mills and at Lynn Camp with teacher Hank Gevedon. Biomedical Sciences is offered at Knox Central with teacher Brent Daniels and at Lynn Camp previously taught by Karen Bowman. Selina Deaton has assisted with the Lynn Camp YCC program as a mentor.